TBILISI, DFWatch–Georgia offers investors a favorable environment and a market of potentially 900 million people, Prime Minister Irakli Gharibashvili said during the Georgia-Israel Business Forum. Gharibashvili mentioned that a common system of allowances with 8 countries, including the USA, a deep and comprehensive free trade agreement with the EU and free trade agreements with the Commonwealth of Independent States and Turkey allows Georgia to offer investors a market of potentially 900 million people. He said that rule of law and protecting private property is a priority of the government, which is triying hard to turn Georgia into the most favorable country for investors. On the World Bank’s Ease of Doing Business Index, Georgia has improved its position and moved up to 8th place. Gharibashvili said the World Bank now expects that Georgia’s economic growth will reach 6.3% instead of 5%, as the Bank earlier predicted. “As head of government, I promise that every cent that you invest will be protected and I’m ready to become the guarantor of a fair, transparent and safe investment climate in this country,” the minister told foreigner investors. Gharibashvili added that Georgia has a very convenient geographic location. “Even though the population is about 4.5 million and it might seem to be an unprofitable market, you’ll see a different picture if look at Georgia as a regional centre. Georgia is not only the center of South Caucasus, but links Central Asia and EU, East and West markets,” the prime minister explained. 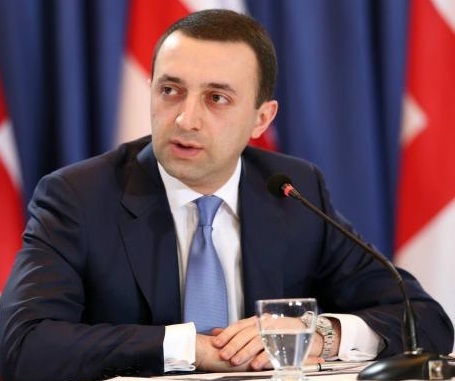 “We offer investors sovereign balance, liberal tax system, that means only 6 fixed types of low payments, conservative bank sector, developed transportation infrastructure for trade, logistic and industry […] a qualified work force with competitive tariffs,” Gharibashvili said.